“Oh my. Look at that!” My pointing finger indicated something was amiss. There were several route options for our ride home. That afternoon we happened to take the route past the weathered, uncared for, little white ranch-style house. A pasture, a pond, and roaming cattle encased its three sides while a road flanked its front. A working oil well sat propped on a small hill beside the house, its pumpjack’s up and down motion indicating a diligent effort to pull crude from below the earth’s surface. “That guy’s getting handcuffed!” I blurted, eyes wide in excitement. We live in the country, and handcuffing folks in the front yard isn’t a common theme. But I imagine more of us are handcuffed than we realized. Although many of us have never been cuffed in the natural, it’s likely we have in the spiritual. Sin has a way doing that. And often, we don’t even realize it. Complaining about that thing your kids or husband never seem to do. Rage in an emotional conversation with a loved one. Giving someone a “heads-up” (gossip) about a different somebody, just in case they need to know bits of the past. Hormones rising, jumping into the sheets of fornication with another before marriage. Hating someone for “that thing” they did to you. Jealousy over someone else getting a promotion or acknowledgement before you. Refusing to forgive “them” because they don’t deserve it. 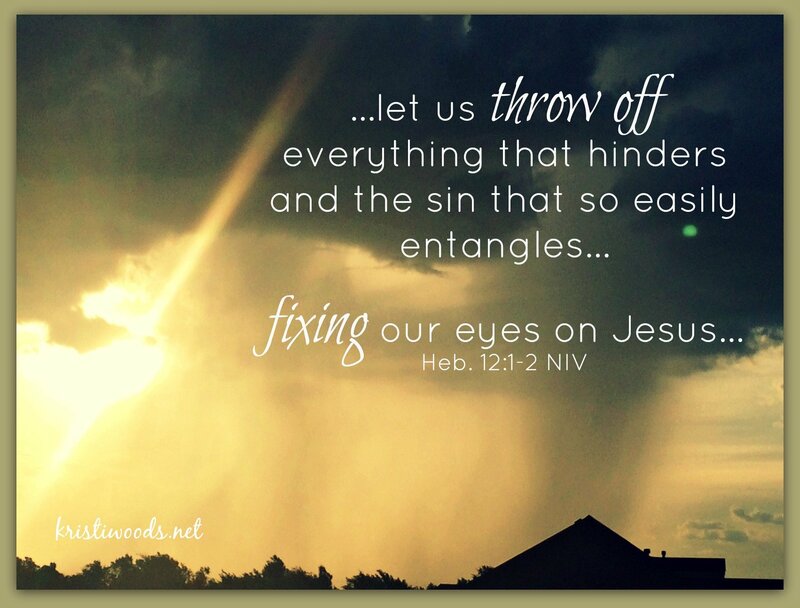 In Hebrews we’re reminded to throw off anything that hinders. The gossip, jealousy, fornication, and hate…throw it all off. That’s what He says is best for us. That’s God’s will. As a mom with teenagers, it means throwing off the fear of “what if” concerning my children and their activities. It means holding up the shield of faith instead. It means refusing to take offense or point blame when hurtful words are thrust at our heart. 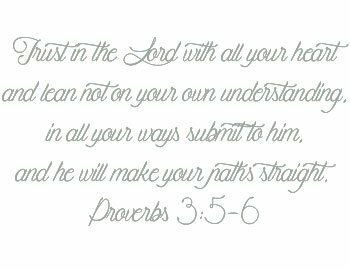 It means trusting God more than ourselves. The solution? It’s as simple as fixing our eyes. I hear you. Sometimes “fixing” our eyes doesn’t seem so easy. Sometimes it’s the last thing our flesh wants to do. After all, my mama heart has a false belief that somehow worrying about my teens is the right thing to do. But worrying about them, what they’re doing, how they’re driving, or if they’re safe at camp, college, or even on a date isn’t in the Ten Commandments. No, thou shalt worry about thy child isn’t one of the terrific ten nor is it anywhere in the Bible. Being anxious about nothing, however, is. Choosing not to worry, be anxious, in a rage, or offended are all forms of fixing our eyes on Jesus. In Him, not our own strength, we find true power and energy for the race. So, how do we fix our eyes? Remembrance and thankfulness overflow a cup. Recalling the Lord’s goodness starts a day well, ends it even better. Finding and listing just three things a day to thank God for will change a heart. With eternity in sight, the view changes. Suddenly, the focus shifts from me to He. We see the person or situation from an eternal perspective, as a child of God or a situation in which to trust Him. So my friend, take inventory today of one thing that bothers you greatly, one thing that has cuffed you, entangled you. Then, set it in front of the Lord as you fix your eyes on Him. Allow the Holy Spirit to counsel you in forgiveness, trust, and love. Be determined to throw, throw, throw. I’m cheering for you. Run your race well. Hey buddy! So glad to be your neighbor at Intentional Tuesdays! I was just thinking about this yesterday. I was burdened by a feeling I could not explain, but taking time to remember what Jesus did for me and His promises brought me a renewed sense of peace. You write with such wisdom. I’m so thankful for our friendship! Good morning, Kristine. You’ve brought a smile this morning. It’s always a joy to see you here, and I consider your friendship a treasure. I’m thankful you “remembered” yesterday and that peace took it’s place. The Lord is faithful! Kristi, never has it been more difficult to fix my eyes on Jesus. Between mothering, blogging, Social Media, house work, job, and work sometime Jesus is a blurr. I absolutely love the three things you give us to focus on “what he said, did, and promised”. Such an awesome reminder to fix my eyes on Jesus. Kristi, such wise words this morning, thank you for sharing. I too struggle with fear regarding the safety and well-being of my children. It just doesn’t seem to change as the get older. I have adult and teen children, and daily have to pray for God’s fear-busting grace. Thank you for the reminder to “fix my eyes”. 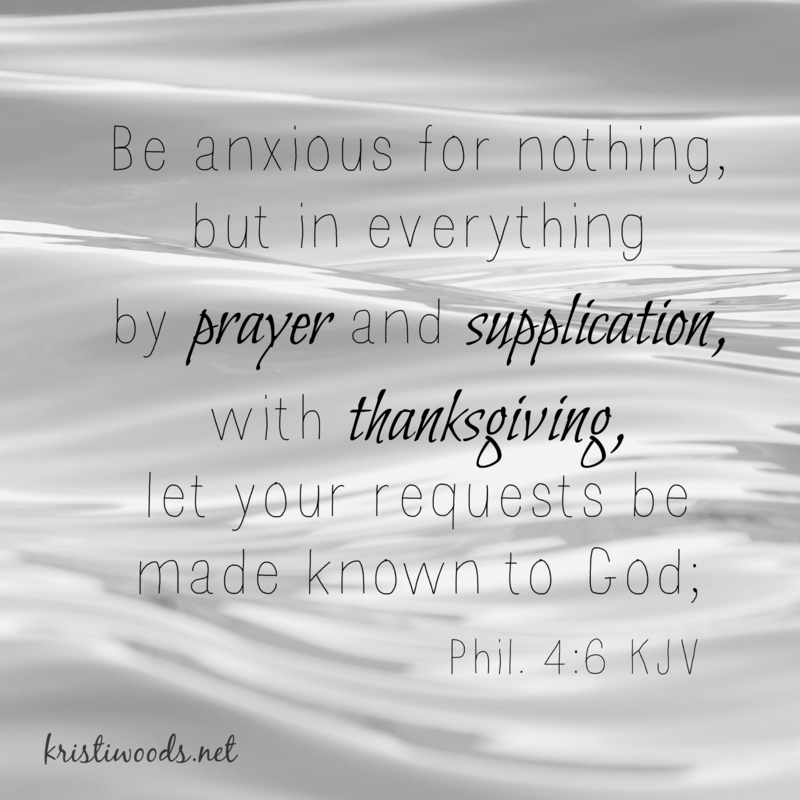 Visiting you today from the Intentional Tuesday Linkup. I’ve enjoyed getting to know you through Compel. Hi Brenda. It’s nice to see you here, fellow Compel writer. 🙂 Worry attempts to become a Goliath as our children venture out into this world. But there’s always a stone…. thank You, Jesus. Wow, you have quite a list of things that “handcuff” us, friend! I could relate to so many of them. Just yesterday I mentioned something to a friend I shouldn’t have. The Holy Spirit spoke to me when I drove away from her house, and I called back to apologize! But I like those three things to focus on! Thanking the Lord for your Holy Spirit moment yesterday, Betsy. Focusing with you. Yes, Tiffany, He IS near. Oh girl, the moving thing can be such a Goliath, but like I mentioned in one of the responses above, there’s always a stone. 😉 Am w/you on the eye-fixing adventure and will be praying for you during this season. Would love to hear how the moving is going as it progresses. Me too, Angela. Me too. Your visit is a blessing. Fixing my eyes with you, Crystal. And “fix my eyes on His words and trust Him with mine”….gorgeous. Love that. Amen. Hi Tai. Your visit is always a blessing. Fixing eyes alongside you. Thanks Kristi for these words highlighting for us what we need to focus on in the midsts of life’s stuff! Enjoyed reading and feeling encouraged by this today! God bless! God bless you as well, Anastasya. Yes, we are all more imprisoned than we need to be. I relate to this: “it means throwing off the fear of “what if” concerning my children and their activities.” I can usually accept Christ’s sufficiency in the “what is”, but those “what if’s” lead me astray into worry land. I love your scripture verses. Beautiful! Scripture memory is a big thing for me to stay free. 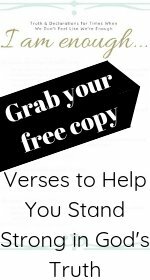 I’m currently memorizing James 1 with the ladies at Do Not Depart blog, and I find it so helpful to recite the verses in my head when I wake up in the night with a bad case of what if’s. Hi Lisa. Agreed. We ARE all more imprisoned that we need be, and more than we often realize. Scripture is a firm way of fixing our eyes on the truth. Love it! Love the way you gave us three succinct ways to keep our eyes fixed – on what He did, on what He said, on what He promised. So very helpful! Succinct is good. Fixed eyes too. Thanks for visiting, Joanne. 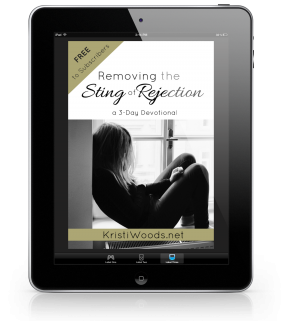 Kristi – Such powerful and practical easy to follow 3 steps to fix your eyes. I love how you suggest that as we Focus on what He did – to choose just 3 things to be grateful for! Love it! Its often easy to lose sight of the small or simple things He has done and having an attitude of gratitude. Thank you for your post today it is great to be your neighbor over at Holley Gerth’s -Coffee for your Heart. Blessings and Happy Independence Day! Oh, this is so lovely, and I need to be reminded that Jesus is the “pioneer and perfecter” of my faith. Eyes fixed, heart settled. Thanks for your words. Eyes fixed as well, walking alongside you, Michele. I don’t know if we ever truly realize the depths of stability until we walk through it, and yet I also realize that people have walked through even harder things. Things I can’t imagine. When I hear their stories of His faithfulness, it floors me. Thank you for sharing this. Such wise words and practical application you shared. Thank you for your encouragement to remain fixed on Him! Fixing eyes alongside you, Liz. Thanks for stopping by. Thank you so much for the reminder to “fix my eyes”. I have been a little discouraged lately in some of the things that are happening in our world. I needed to be reminded to fix my eyes on Him and not on anything else. Blessings. Susan, I’m with you…we all can use a reminder from time to time. Blessings to you as well. I thank God for always having the right words at the right time. He is faithful. No worries, Dolly, and you’re welcome. Hope your time out of town was good. Beautiful post, Kristi! I found you through a link in your comment today on Crystal Storm’s “Intentionally Pursuing the Heart of God” and her “Are You Kind to You” post. What a great image you presented of how we can’t hold up the shield of faith while we are holding on to fear of “what if?”! Your words are beautifully crafted. Glad to have found you this morning, and I look forward to reading more from you. Hi Janet! So glad you stopped by. I believe we’re fellow Compel trainees, yes? 🙂 Have a beautiful day, centered in His will.